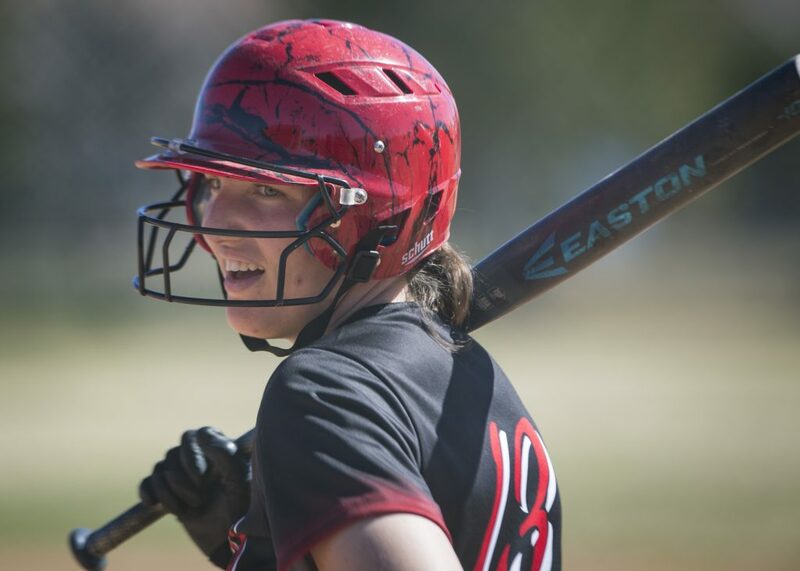 (Courtesy of Tami Dawson) Casey Dawson, long track speed skater and Park City High School Junior, warms up. 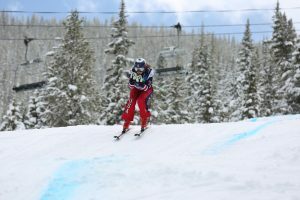 Dawson donned the U.S. outfit for the first time at the World Cup event in Salt Lake City last weekend as an alternate. He hopes in time to earn a starting position on the team. 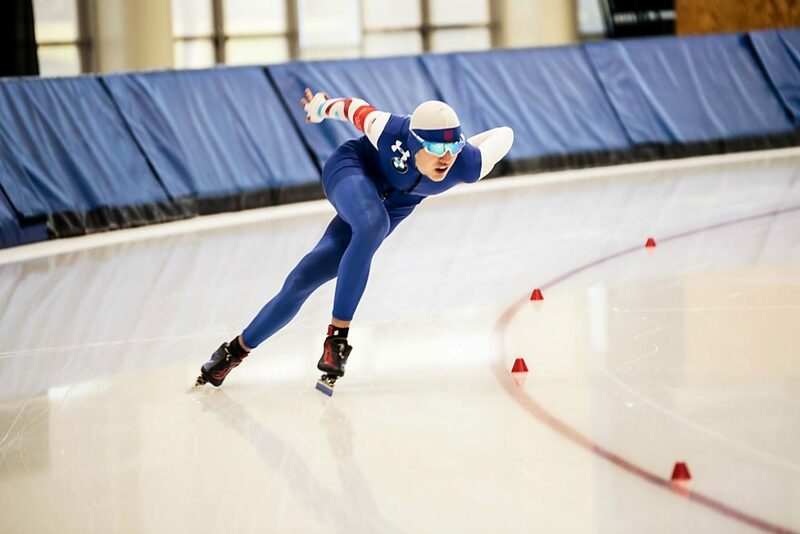 Long Track speedskater Casey Dawson hasn’t achieved his goal of competing for the U.S. speedskating team yet, but the other day he got to try it on for size. The junior at Park City High School was selected as an alternate for the International Skating Union’s World Cup race in Salt Lake City on Saturday, Dec. 10. He got to suit up for the team for the races, and if someone was ill or injured, he would have taken their place. Dawson started speedskating in 2010, after going through the Youth Sports Alliance’s Get out and Play program that featured the sport in elementary school. After that, his parents signed him up at classes with the Park City Speed Skating Club, and his other athletic interests – soccer and cross-country skiing – started to fall by the wayside. Then, when he was 13, he earned a spot at the World Junior Speed Skating Qualifiers. “He just had a really good time, and I think that was the turning point,” Tami said. “Definitely after that, I started to get more competitive and went to more competitions,” he said. Casey said the major difference between the sports was the people involved. Speedskating was a community he felt close to, and that’s why he said he’s never felt like giving it up. When he’s not on the track, Dawson goes back to life as a teenager — chocolate chip pancakes for breakfast (with protein, of course), enjoying the new freedom of driving (though he isn’t allowed to drive through West Valley at night after practice). At school, after morning practice, he enjoys computer science and robotics. He’s also a fan of physics, which he said sometimes helps him better understand his sport. Going through curves at 30 or 40 miles per hour, Dawson has to lean into his skates to counteract the forces on his body and skates. Unlike other students, if he gets his calculations wrong, he falls, which can be dangerous. “I’ve seen injuries as bad as people breaking their leg and cutting themselves,” he said, though he added that fortunately he’s never had a bad fall. To keep the chance of falling low, he said racers have to start their competitions by putting the possibility of falling out of their mind entirely. Tami said it was an unanticipated turn in her son’s life to watch him excel at speedskating, but over the years, it has come to seem right. Come January, he will take another shot at going to the World Junior Speed Skating Championships, starting with a qualifier. Last year, he missed going to the championships by a single position, but this year, he said many of his competitors have aged out of his group. In time, he hopes to keep the jersey that was his to wear for a couple days in December. Faring well at Junior Worlds would be a big step toward that.